I paid a visit to Typo yesterday and to my delight they had 30% off everything in store. I picked up two of these hexagon shadow boxes and a few bits to put inside. 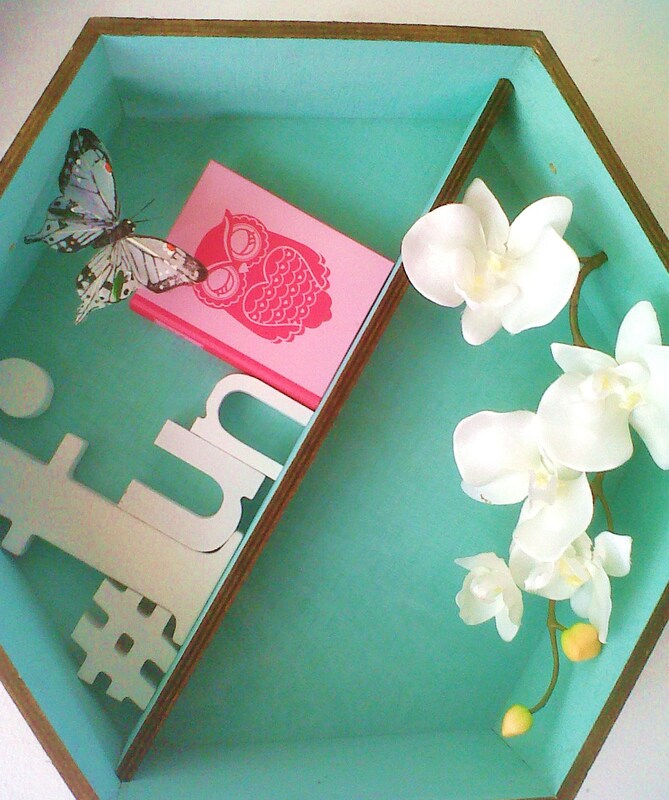 The boxes are part of their We heart hexagons range and comes in mint, white and pink. There is also a clever range of Hexe-Papers that are hexagon shaped wallpapers for the back of the box, with cool prints on like flamingos, florals and retro prints. I knocked a few hilty nails into my wall and voila! As easy as pie they were up. If you can’t knock nails into the wall where you live you can also use the hexagons as stackable units to put on table tops of shelves. They’re super handy to use as an updated version of a printers tray with little nick nacks slotted in or use them as hanging bookselves, plant shelves or display cabinets for anything creative that deserves some attention. 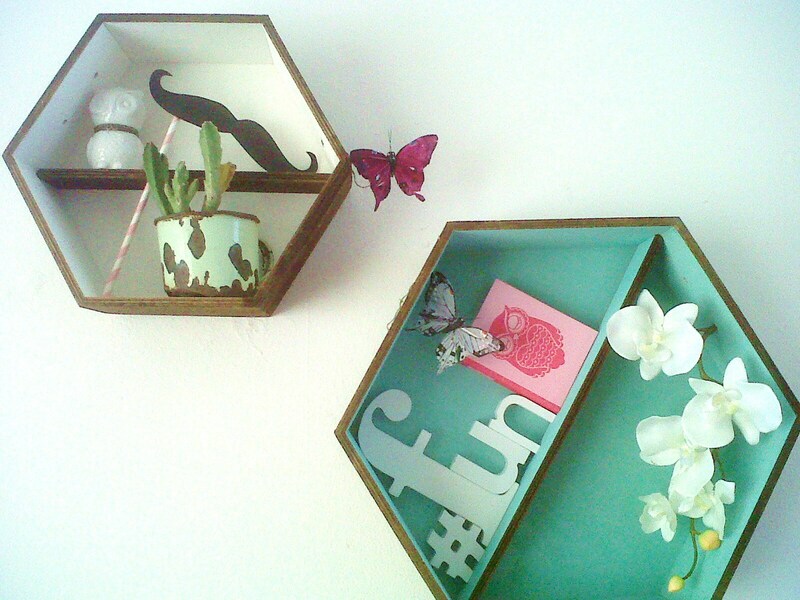 I picked up a few letters and owl items from Typo and combined them with a fake orchid and some butterflies that I had left over from shoots, a DIY Movember moustache and a cactus in a rusty mug that I picked up on a road trip. All in all a home improvement win! Worth a try. The other day I walked into @Home and I saw that they had some great white wooden crates. I enquired about them and they were part of the display. Trust me to want the one thing that isn’t for sale in a store. Then I drove past Cocoa Oola on Kloof Street and they have the cutest DIY crate planters lining the restaurant. With Spring flowers, window sill planters, spring cleaning and stackable storage units in mind, I feel the seasonal time for crates has arrived. The good news is that crates aren’t that hard to get hold of. It just depends how picky you are and if you want an authentic good quality vintage one with stencilling or if you’re prepared to get a standard one and add some coats of cool colour to cutomise it to your likes. Pop down to a second hand or vintage market and you’re bound to find some lying around for sale or I’ve even seen some at boutique and home stores as well as garden stores, but you’ll probably pay a bit more for these. Ana White has some great tips on on how to make crates up from wood pieces at this link. The ideas that I loved and put on my moodboard included the teacup display shelf. You can make your own by screwing some hooks into the top of a box or crate and hang teacups off them as found here. I also love the planter idea and creating windowsill boxes out of smaller thinner crates. Shop their personalised crate designs in the colourway of your choice here . 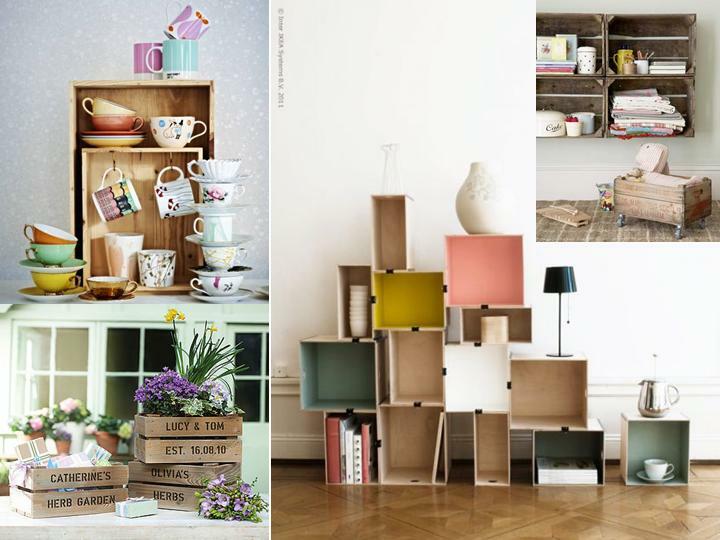 The idea of stacking crates on top of each other to form shelf units works brilliantly in a small or large space. Add a different colour coat of paint to the inside of each unit and clamp them together like the Ikea shelves found here. Upcycle old wine crates and add wheels to make movable storage boxes, or mount them on walls to form shelves, as done here. Below are some cool charater crates available at Typo. 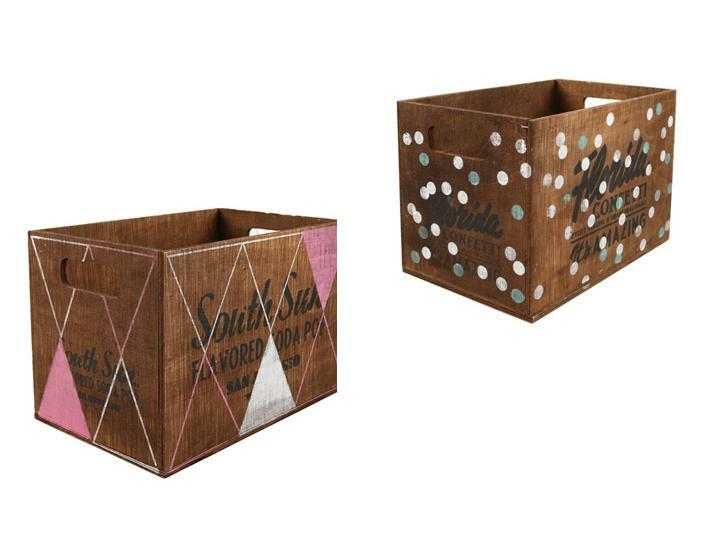 WThether it’s a weekend project painting crates outside in the sun or a trip to a vintage market, crates are the way to go for a quick home makeover.